Two conceptualizations of four directions in mathematics are Complex numbers and Quaternions. 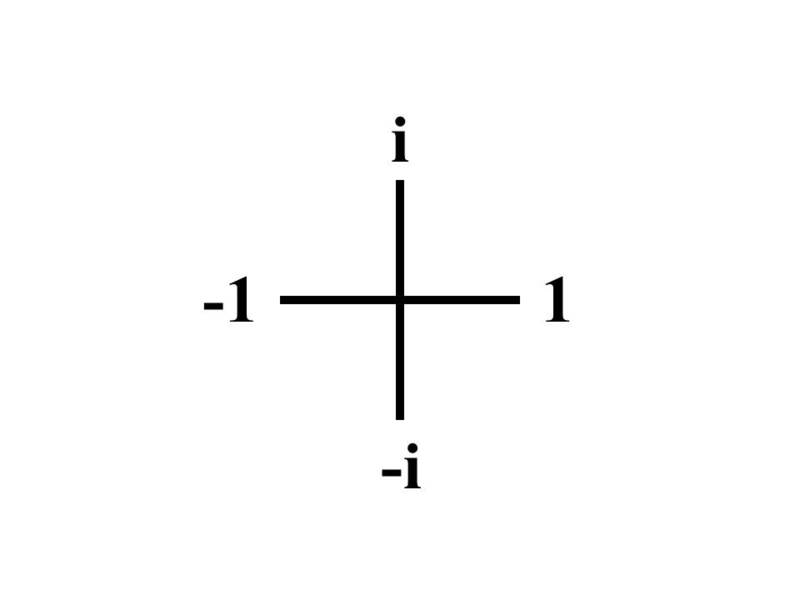 For complex numbers, two of the directions are the opposite or negative of the other two. Complex numbers are like Cartesian coordinates in that they combine an (x,y) coordinate pair of real numbers into one complex number x + yi. Plus, complex numbers can by manipulated by extensions of arithmetic operations, like addition, subtraction, multiplication, and division. 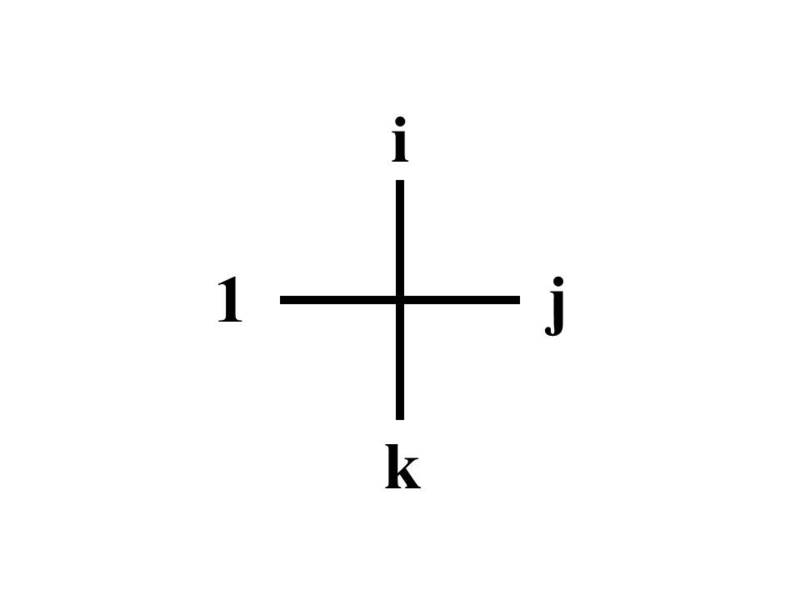 Quaternions are an extension of the complex numbers where the directions are all different, and each direction is perpendicular to the other three. Like complex numbers are a notion of numbers that cover a plane, quaternions are a notion of number that fill four dimensional space. Thus they combine a 4-tuple (w,x,y,z) into one quaternion number w + xi + yj + zk. Like complex numbers, quaternions can be manipulated by further extensions of arithmetic operations. This entry was posted on November 29, 2013 at 6:07 PM and is filed under fourfolds, Mathematics. You can follow any responses to this entry through the RSS 2.0 feed. You can leave a response, or trackback from your own site.